Surface Gallery has completed the supply of Classic Travertine Filled & Honed Tiles and Mosaics to this newly developed property in Gladesville. The developer of the property was looking for large format, quality and cost effective tiles for this large open plan living space. 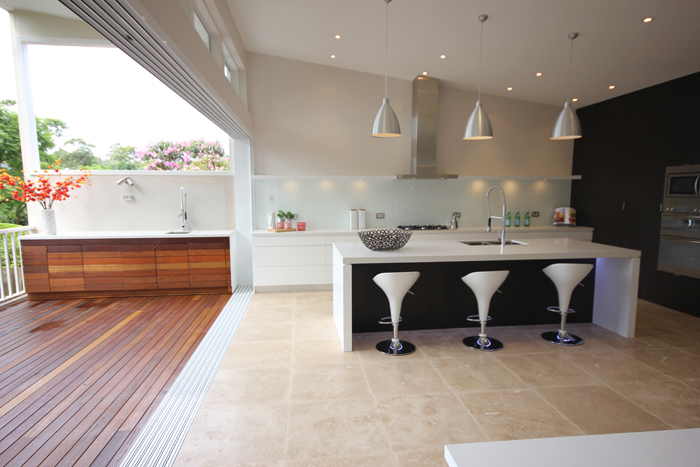 The Classic Filled & Honed Travertine in 610x610mm format, was the perfect solution to complete the scheme. The Classic Travertine was also selected for both the master and ensuite bathrooms and laundry room. Complementary Travertine mosaics were also selected to add a decorative touch to the master bathroom.